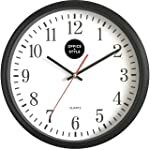 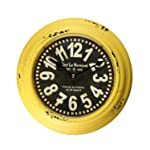 Round metal clock with Arabic numbers at every hour. 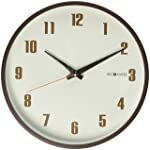 Cream dial with black metal hands. 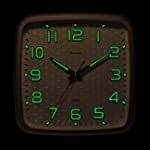 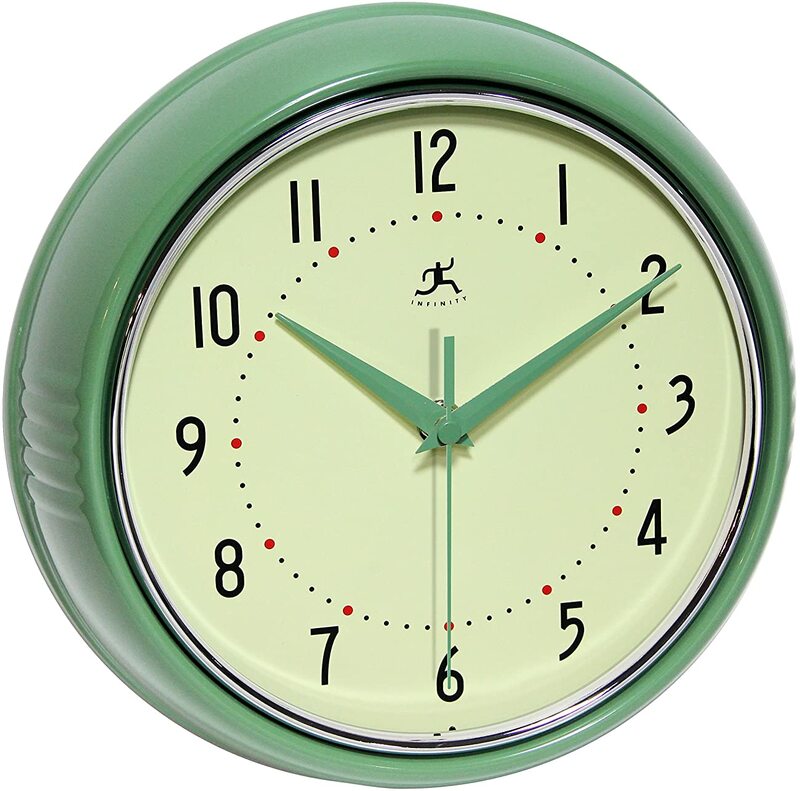 Operates by a highly accurate quartz movement and one "AA" battery, not included. 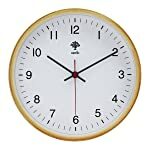 Guaranteed by a one year manufacturer's warranty. 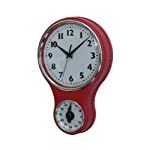 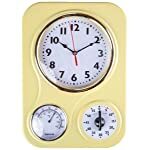 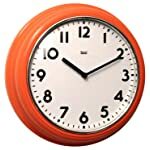 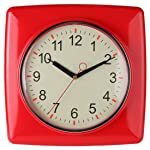 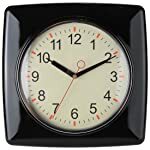 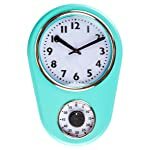 Lily's Home Square Retro Kitchen Wall Clock, Large Dial Quartz Timepiece, Black, 11"
Lily's Home Square Retro Kitchen Wall Clock, Large Dial Quartz Timepiece, Red, 11"